Many soldiers who served in the Second World War also served in the First World War and I have written a separate guide to finding these war diaries on my other website Researching WW1: Finding WW1 War Diaries. What are WW2 War Diaries? During the Second World War, a unit, whether of the British or Indian Armies or belonging to Dominion forces (Canadian, South African etc.) would keep a daily record. 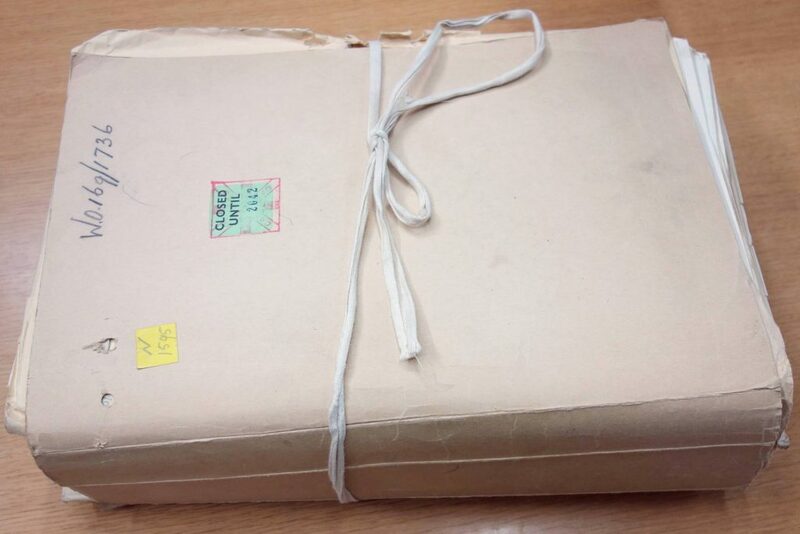 This record was called a war diary and it contained information regarding a unit’s location and activities. Why are WW2 War Diaries so Important? After a soldier’s service record, the most important documents to consult if you want to learn more about their service is the war diaries of the units they served with. 1 January 1941: Remained at BUQ BUQ [Egypt out in the Western Desert]. Mobile Bath Unit working, all men had hot showers. 2 January 1941: Brigade set out by march route for Salum, order QUEENS, LEICESTERS, Argyll and Sutherland Highlanders; went via Summer track, covered 15 miles, encamped by SALT marshes. March discipline bad, troops definitely vehicle bound, having done scarcely any marching since the operation began. As you can see the war diary records the Battalion’s location and activities. In addition, most war diaries contain appendices in the form of battle reports (often very detailed), orders, casualty lists, etc. Below is the war diary for the 2nd Battalion, Leicestershire Regiment for 1941 which I photographed for a client whose father served with the Battalion. With appendices, it was over 700 pages! Not all war diaries will be as large as the 2nd Battalion’s for 1941 but all will provide you with additional information to understand where and in what conditions a soldier served. How can I find WW2 War Diaries? WW2 war diaries are held at the National Archives in London and are available to members of the public, though you will need a reader’s ticket to view them. No WW2 war diary has been digitized and can only be viewed by visiting the National Archives in person, though I offer a copying service. Before you start searching for war diaries I would recommend ordering a soldier’s WW2 service record. Unlike First World War unit war diaries which are contained within a single record series (WO 95) Second World War diaries are found within 19 record series. The majority of these record only contain war diaries for specific theatres. Units’ titles in the catalogue often contain acronyms and abbreviations which can make searching difficult. For example, if you were searching for the 389 Heavy Anti-Aircraft Battery in the catalogue the title would be 389 H.A.A. Bty. Many units served in multiple theatres so you’ll often have to search in more than one catalogue reference. I have photographed 100s of WW2 war diaries for clients over the years, many wanting to know more about what their father did during the war. No WW2 war diaries have been digitized, so the only way to view them is to visit the National Archives in person or to hire a researcher. I offer a quick, professional service where I will photograph the war diaries you need. If you are having trouble working out which unit’s a soldier served in you can email me the documents and I can decipher it for you. I visit the National Archives once a week, so you’ll won’t have long to wait.